April 4, 2016, 2:11 p.m.
By Shan Wang @shansquared April 4, 2016, 2:11 p.m. The Atlantic’s CityLab, launched in 2011 to cover the growth and change of urban areas around the world, is getting a Miami bureau: The Spanish-language CityLab Latino, a partnership between The Atlantic and Univision Digital, launched Monday with a mix of original work and stories translated from its English sister site, helping to extend CityLab reporting to Spanish-speaking audiences. It’s the first non-English initiative from The Atlantic, and part of Univision’s wider digital strategy. “We’re going through a major digital transformation and we want to diversify our content, but we cannot go through this alone,” Borja Echevarría, VP and editor-in-chief for digital at Univision (and a former Nieman Fellow), told me. “Partnering with the right people helps us catch up faster.” For instance, Univision is working with The Washington Post to cover the election and has also partnered with Variety and MIT Media Lab. 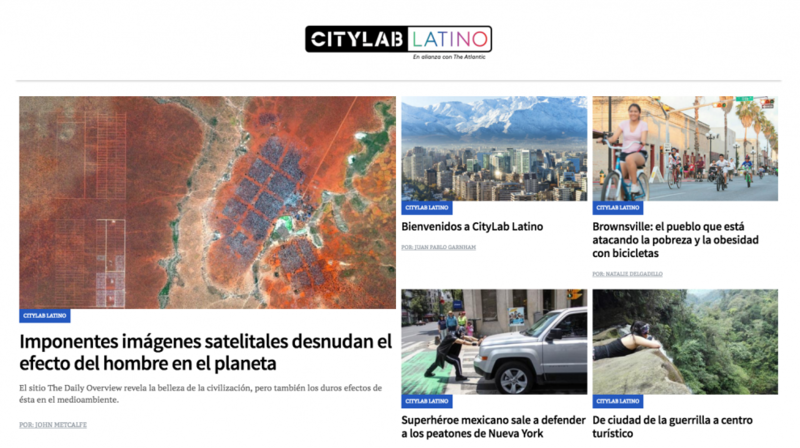 CityLab Latino will start with a dozen or so stories taken directly from CityLab.com and translated into Spanish, and three or four pieces of original Spanish-language content each week. As the site gets into a publishing groove, original content might start flowing the other way, too — translated from Spanish and cross-published to CityLab.com in English. Juan Pablo Garnham, the site’s new editor-in-chief, will oversee CityLab Latino from Univision’s Miami offices. (Garnham is bilingual and a native Spanish speaker. He was previously a reporter for El Diario in New York.) Natalie Delgadillo, an Atlantic fellow based in D.C., is also writing stories. This launch story, about Texas border town Brownsville’s attempts to address obesity rates through public cycling programs, offers a good idea of where City Lab Latino could be headed. The hope is that the sister sites will collaborate on other reported pieces. Echevarría said he particularly admires The Atlantic’s digital transformation in recent years, as well as the magazine’s continued “high editorial standards.” He hopes the digital team he’s building at Univision, with expertise in highly topical areas from transportation to environment, could bolster CityLab’s existing coverage. From the earliest conversations, starting more than a year ago, the CityLab site emerged as the most “fertile common ground for a partnership,” Atlantic president Bob Cohn told me. The partnership is 50-50, so CityLab Latino has Spanish-language publishing rights to CityLab stories, and vice versa. 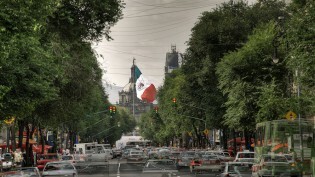 There are an estimated 559 million Spanish speakers in the world. Around 470 million of those are native speakers. In the U.S. alone, nearly 36 million people speak Spanish at home, according to Pew’s analysis of census data. Publications have woken up to the potential of writing for these audiences — with everyone from The New York Times to Audubon.org making Spanish-language plays. Univision itself is also reportedly partnering with Gawker to flesh out Spanish-language versions of Lifehacker and Gizmodo, according to CNN Money reporter Tom Kludt, writing in the March 24 Reliable Sources newsletter. POSTED April 4, 2016, 2:11 p.m.
Wang, Shan. "Bienvenidos a Miami: The Atlantic and Univision are bringing CityLab to Spanish-language audiences." Nieman Journalism Lab. Nieman Foundation for Journalism at Harvard, 4 Apr. 2016. Web. 18 Apr. 2019. Wang, Shan. "Bienvenidos a Miami: The Atlantic and Univision are bringing CityLab to Spanish-language audiences." Nieman Journalism Lab. Last modified April 4, 2016. Accessed April 18, 2019. https://www.niemanlab.org/2016/04/bienvenidos-a-miami-the-atlantic-and-univision-are-bringing-city-lab-to-spanish-language-audiences/.